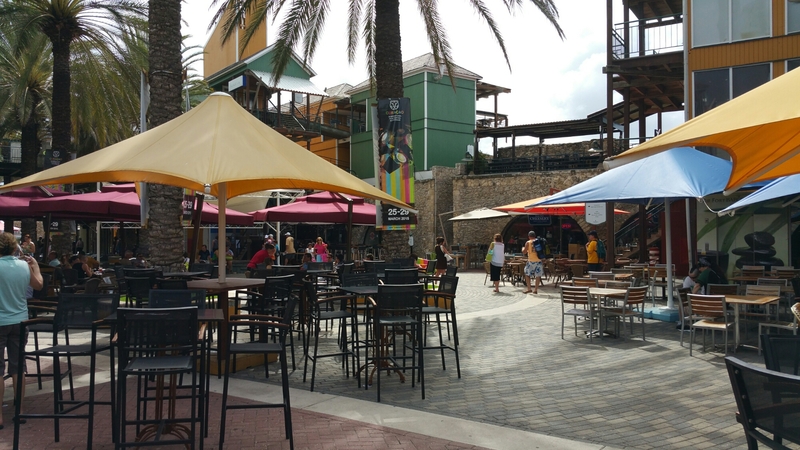 The weather continues to be in our favor for our day in Curacao. It is in the 80’s and a bit overcast. 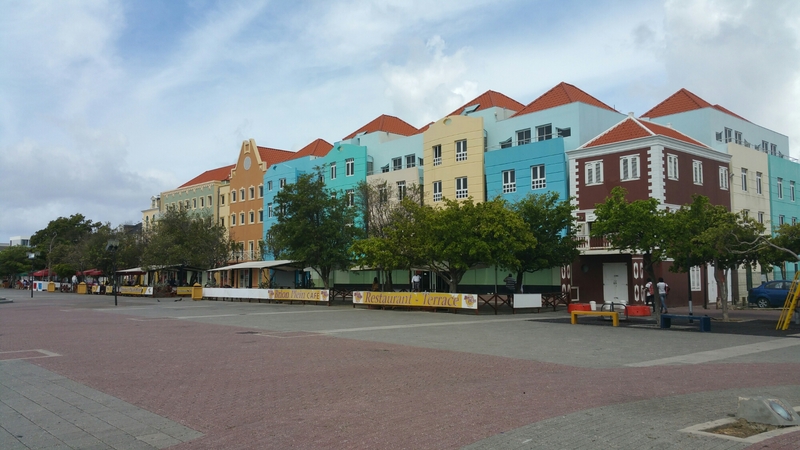 I had booked a tour of Curacao that was to have been in the morning. It was moved to 1:00 which wasn’t a major problem, but I would have liked to have been notified by the ship of the change. I didn’t notice until I looked at the meeting time on the tour ticket. So in the morning I just walked around the port area. It is very nice with several shops and restaurants to choose from. 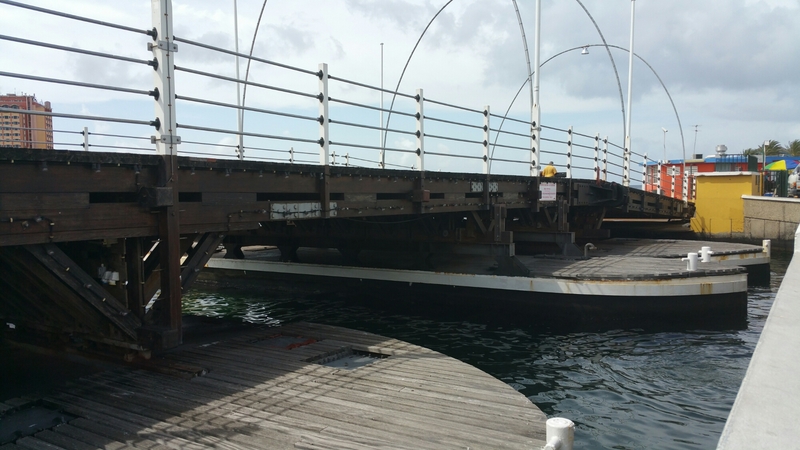 Curacao is famous for its floating bridge…but wouldn’t you know it? It was closed for repairs while we were here. I enjoyed the use of colors on all of the buildings. I haven’t verified the truth of this statement, but supposedly a governor encouraged the citizens to stop painting all of the houses white to promoted the islands uniqueness. 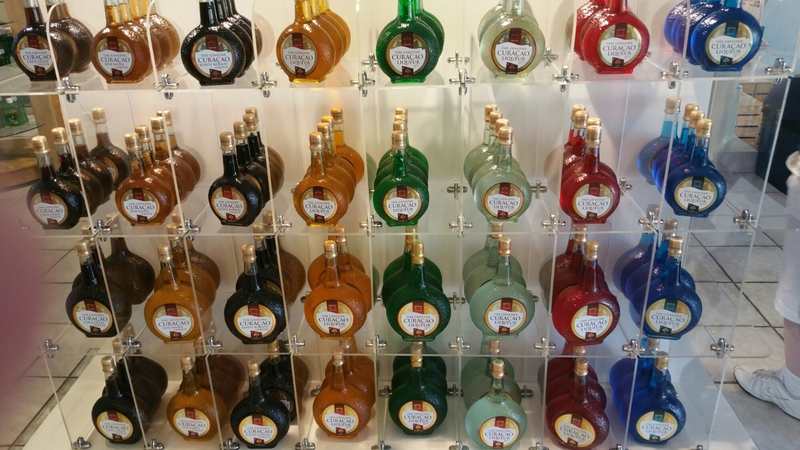 Later it was discovered that he owned the largest paint distributor on the island. True or not it’s a good tale and the island is pretty. And then it was off to the Curacao Museum. I admit my attention wandered here as the building wasn’t airconditioned and was stifling. 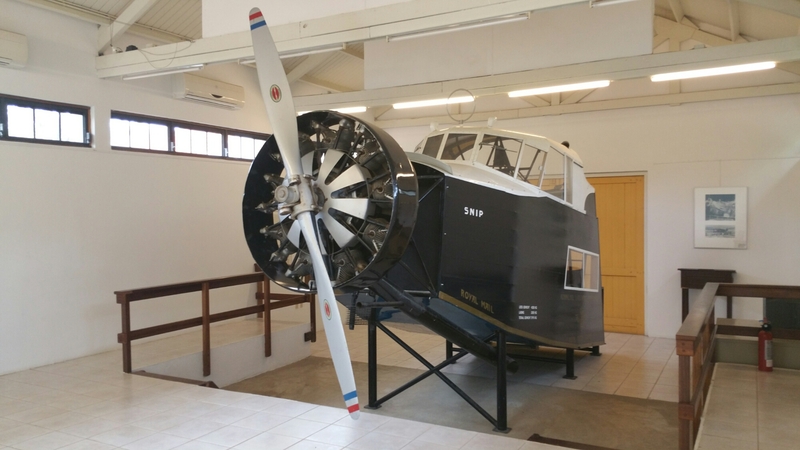 The one highlight to me was a bit of the first KLM plane to fly from the Netherlands to Curacao. The journey used to take seven days if you can imagine! 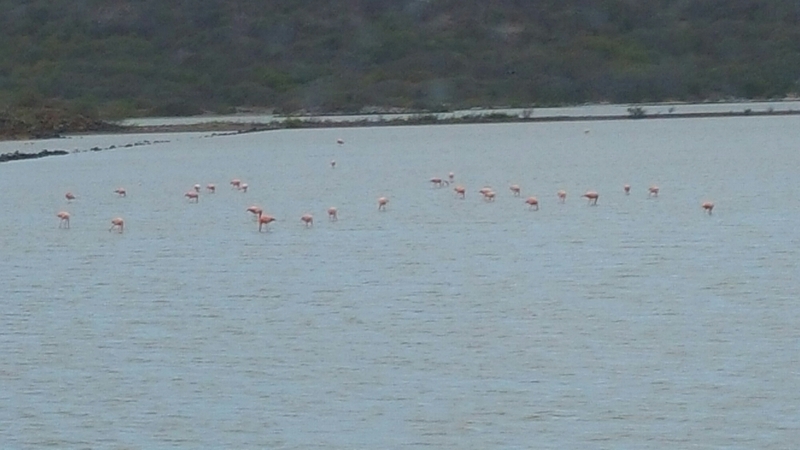 On our way to our final stop, the Hato Caves, we past a salt marsh filled with flamingos that have made their way over from Bonaire. The caves are interesting, but HOT! 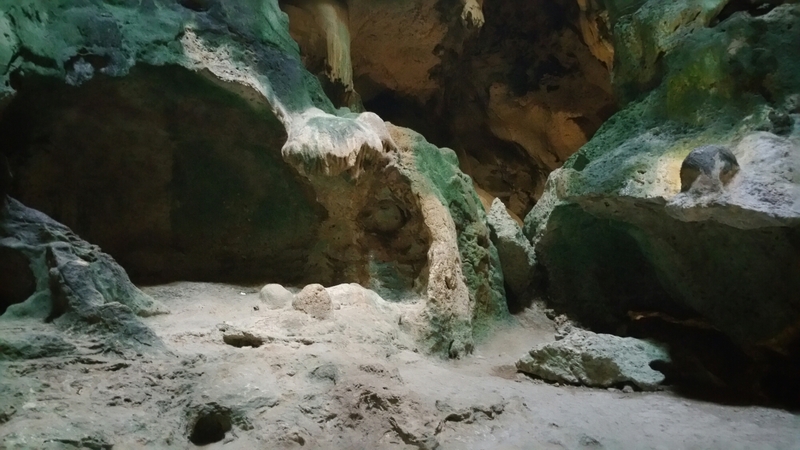 You climb fifty steps up to the cave entrance and the interior is hot and humid. They do have fans moving the air, but they aren’t much help. The tour guide was good, explaining what we were seeing. Including the soot marks on the ceiling left by the torches of runaway slaves that hid there. There is a central cave that is home to about 300 fruit bats. Because of the bats, we were only allowed to take photos in one chamber, and that had natural light from a hole in the ceiling that was the bats’ front door so to speak. It was a decent tour, but I think I would have preferred sticking to the area near the ship and maybe grabbing some lunch! So far we haven’t tried any local foods or beverages. We need to work on that. Maybe at the next stop!